A good tile install is not possible without grout. Tiles like ceramic, porcelain, stone and marble tend to expand or contract according to factors like the weather. Their deterioration is faster in areas that have hot and humid climates like Phoenix Arizona. If a tile is placed directly next to the other in a heated temperature, it could lead to cracking and chipping. Moreover, when your tile is exposed to liquids, rather than the moisture becoming trapped under the tile and leading to mold, mildew and bad odors, it is instead repelled by the grout, protecting the home from water damage. Tile grout is a mixture of water, cement, and sand. Older cement-based grout was brittle and prone to cracking, it also dried irregularly, leaving colors inconsistent, but new mixtures have come a long way in solving those issues. Often, the grout has a color tint, which can be adjusted to match the decor of the home and the tile with which it is paired. Today’s grout uses polymer additives, which ensures color quality and increased flexibility, allowing for joint widths of up to 1 1/4 inches. Many older grouts can be restained, to renew their original color, make sure to ask your Phoenix AZ tile floor restoration company whether your tile needs to be regrouted, or simply colored. Will The Grout Coloring Change After Its Installation? It is not often but sometimes it could turn blotchy or change the tonality of the color. Colors are not easy to control. In grout coloring, the easiest colors to work with are the medium grays and beiges as opposed to bright colors like white or black. Most grout is cement based, so it tends to turn gray with time and that is why grout coloring and sealing is recommended to reduce this effect. Other things that can cause this change could be related to the preparation of the grout like an excess of water, improper mixing or if you added water after the first mixing. The mixture of Portland cement, powdered pigments and water it is called unsanded cement-based grout. This type of grout should be used in joints that are less than 1/8-inch-wide. It has a smooth texture and and easier to work in vertical surfaces such a shower wall. It is recommended for highly polished and easily scratched tiles such as marble because the aggregate in sanded grouts may damage these types of tiles. Sanded grout, as the name says, has sand in it. Sand in the grout reinforces the grout to make it much stronger and less likely to crack, it thickens the grout to prevent shrinking in the joints. Sanded grout is best used for wider grout joints over 1/8th inch wide. It is possible to use sanded grout in thinner joints, but forcing the bulky mixture into these joints is difficult, and pinholes may occur in your finished grout lines. Joints larger than 3/8 inch need heavily sanded grout mixture, which is typically labeled as a wide-joint mixture and is available at most hardware and flooring stores. This grouts are made up of a resin and a hardener. It is resistant to most chemicals and stains. Have detergents added to them and are easier to work with and clean up after wards. This type of grout is more expensive and water resist. Polyblend grout is a modified grout and comes in a wide variety of colors. Is finely ground cement that has been modified with polymer that is a complex compound. it’s basically what engineers use to make many things like plastics. Is a high strength, non-metallic, non-shrink grout designed for a variety of grouting and anchoring applications. Used for general construction applications, for precision grouting and for keyway and base plate grouting, can be mixed to a plastic and reaches strengths up to 14,000 psi. SimpleGrout pre-mixed grout is easy to use and ideal for grout restoration. This shrink and crack-resistant formula is also resistant to common household stains and you don’t have to mix it. It’s recommended use it for interior use only. Grout cleaning in Gilbert is important if you want to keep your place looking good. There are some home tricks that you could use if you want to do it by yourself without buying specialty grout cleaning. One of the most known is making a simple paste out of equal parts of baking soda and water and scrub it with a nylon brush or toothbrush one day after you applied it. If you want to make it harder add lemon juice and vinegar to the paste. Grout cleaning is important if you want to keep your place looking good. There are some home tricks that you could use if you want to do it by yourself without buying specialty grout cleaning products. One of the most known is making a simple paste out of equal parts of baking soda and water and scrub it with a nylon brush or toothbrush one day after you applied it. If you want to make it harder add lemon juice and vinegar to the paste. 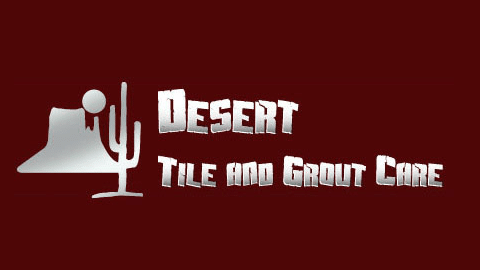 Another option to keep it clean if you are not interested in scrubbing your grout is calling professionals as you can find in Desert Tile and Grout. They will care and restore your floors taking off years of set-in dirt and grime. Making your Phoenix place a beautiful and clean place to stay. 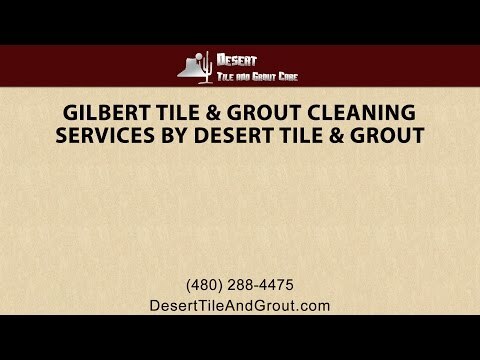 Another option to keep it clean if you are not interested in scrubbing your grout is calling the Gilbert tile cleaning professionals at Desert Tile and Grout. They will take care with and restore your floors, taking off years of set-in dirt and grime, making your home a beautiful and clean place to stay. If the grout between the tiles is discolored, looks dirty, old, cracking or otherwise unsightly and chipping, and you tried to clean it before, it is time to replace it. You can do it with a grout removal bit in a rotary tool. When you make sure it is fully removed, pick a color of grout, this will transform and make it look better. Choose a color that matches with the tile or contrasts with it to make it have a really good appearance. It would help to less the imperfections. Then, choose the correct type of grout. Remember that sanded is stronger than unsanded grout and is needed when grout lines are greater than 1/8-inch (3-mm) wide to add strength. Wait for the thin set mortar to cure, the thin set adheres the tiles to the floor during the installation. And, finally, mix and apply it according to the package instructions.